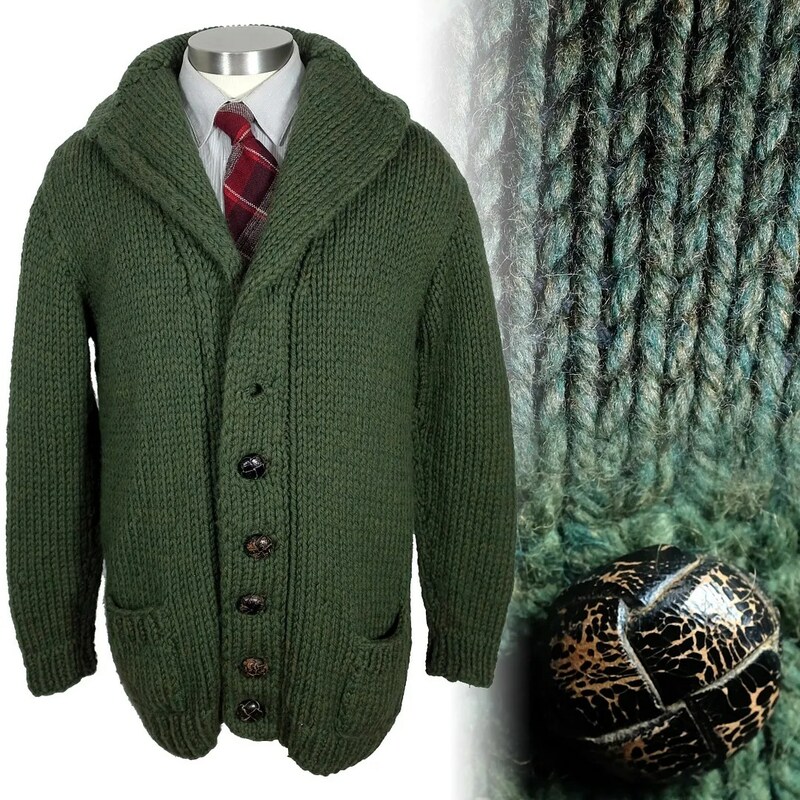 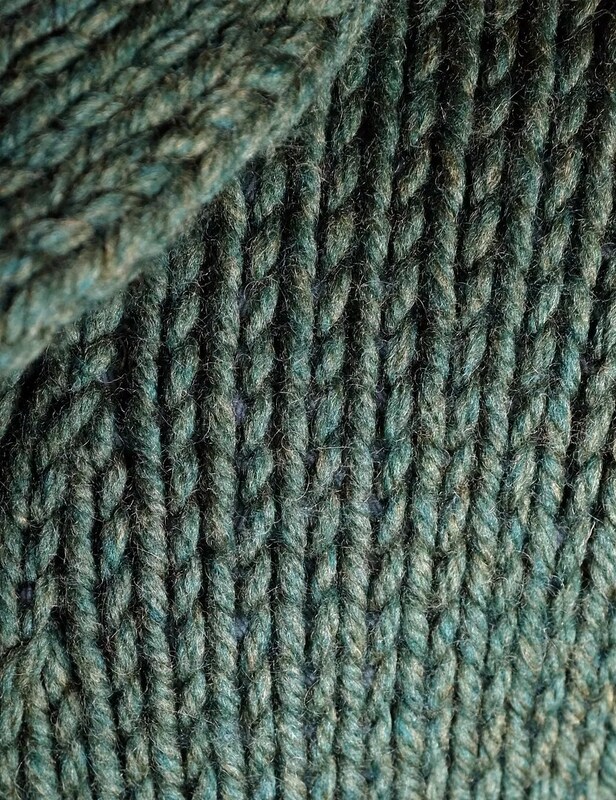 This vintage cardigan sweater was hand knit from green wool. 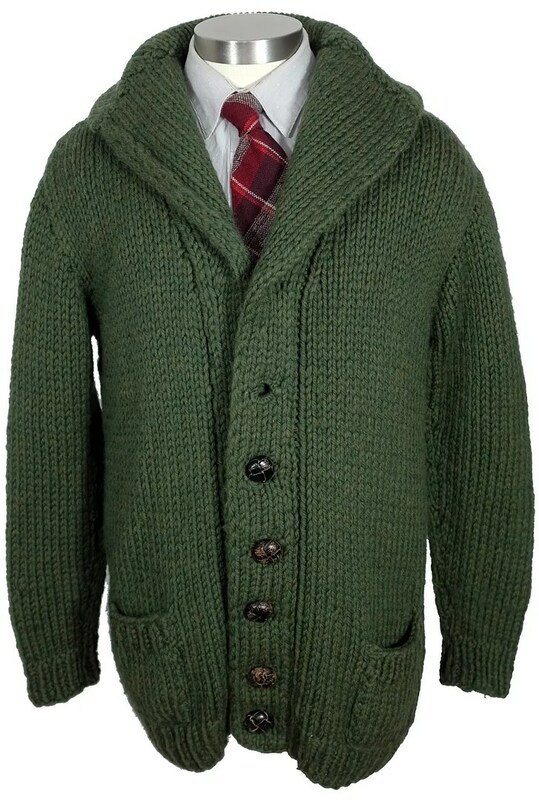 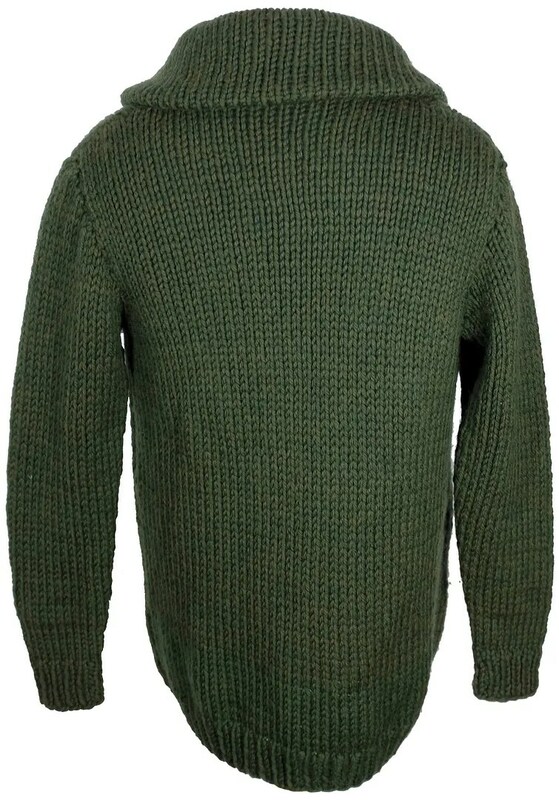 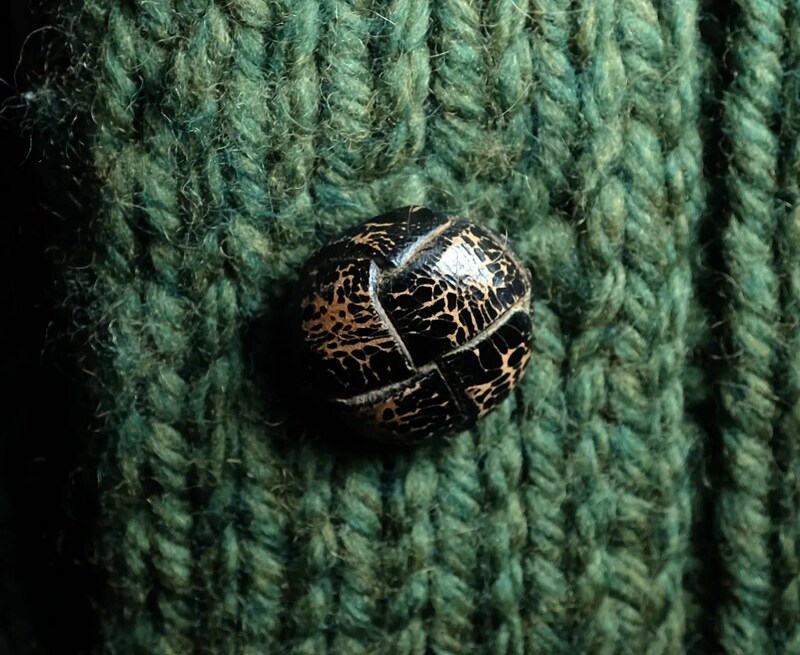 It has a broad shawl collar, small pockets and a bold knit. 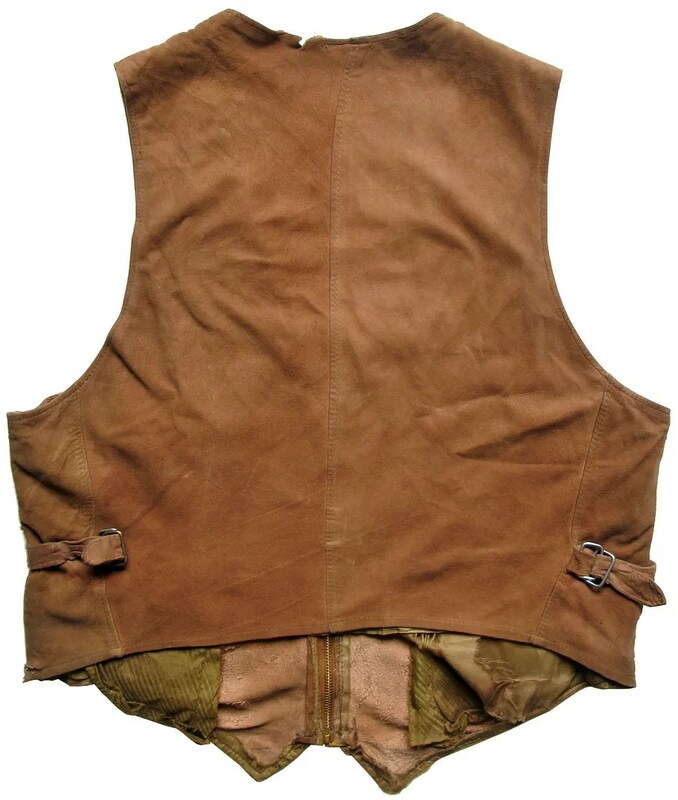 This vintage leather vest was made by the California Sportswear Company of Los Angeles under their Californian label in the mid to late 1930s. 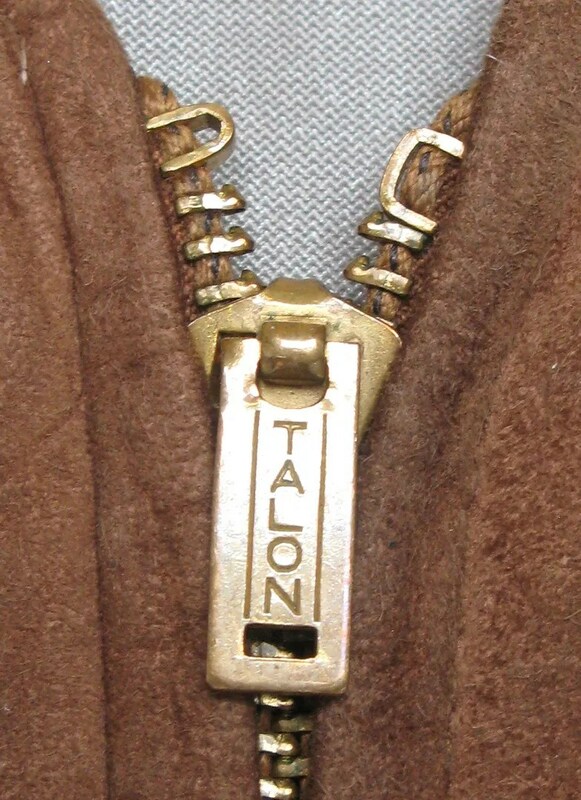 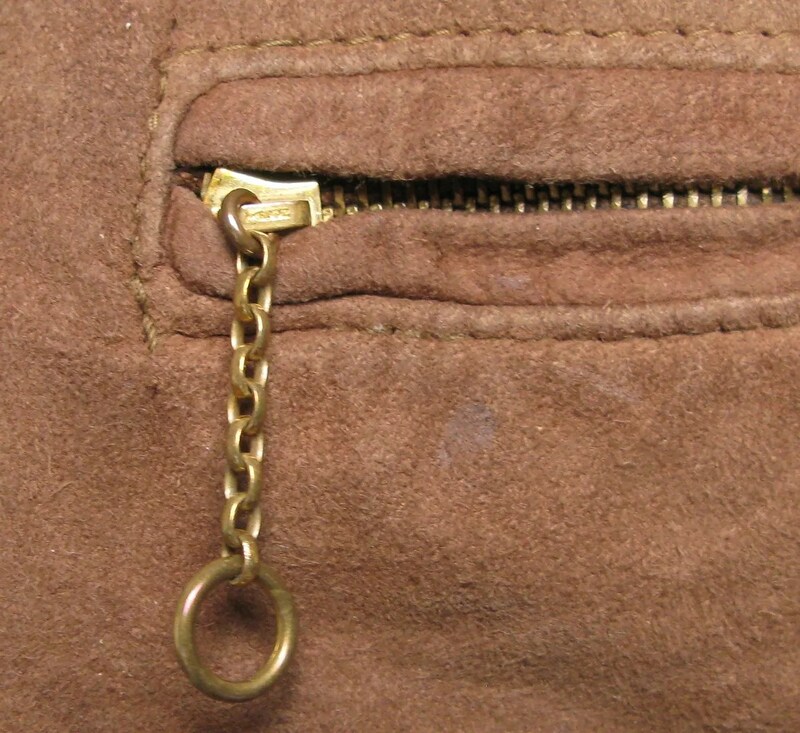 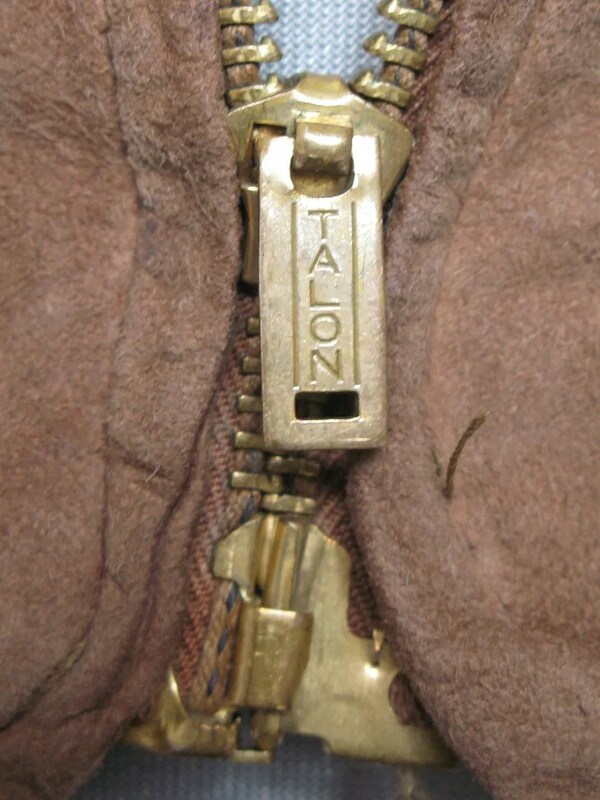 It has an early Talon Hookless style grommet zipper and a chain and ring style Talon zip on the breast pocket, with the early style slider with the Talon script. 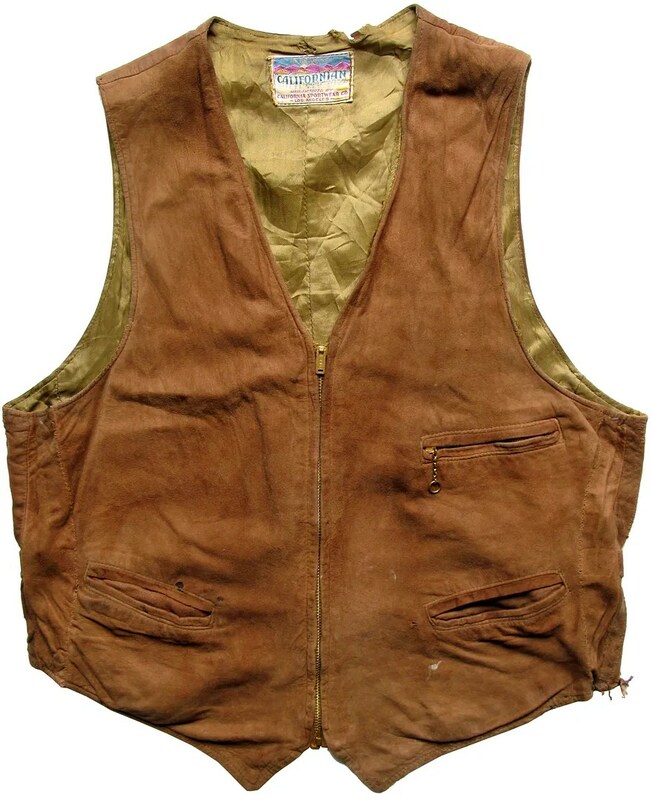 These date it from around 1935-1938. 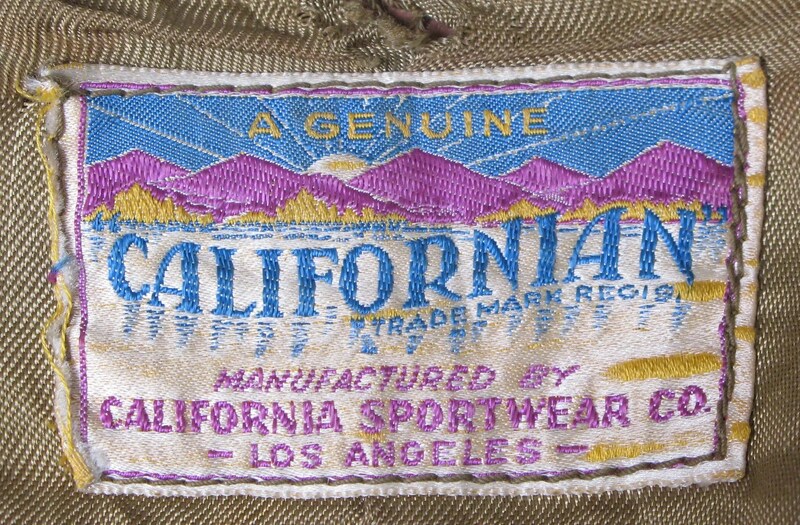 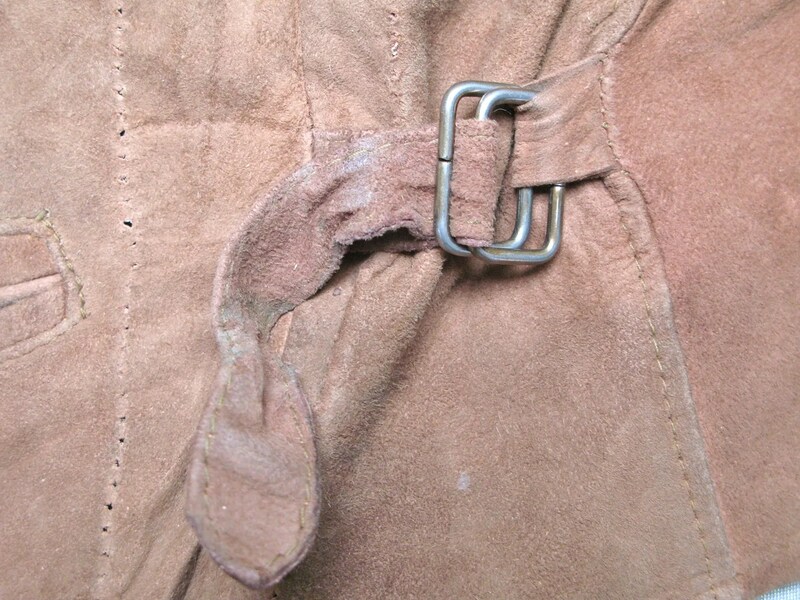 It bears the famous Californian rising sun label, and has side adjuster belts, like those found on Californian’s half-belt leather jackets of the same period.